An interesting video popped up on my Facebook newsfeed recently. After the initial quick view, like and share I moved on to the next "bright and shiny post." We do that often on social media right? Quickly scan and move on. But that video was so good the next day I went back to watch it again. This time slowly digesting the content. 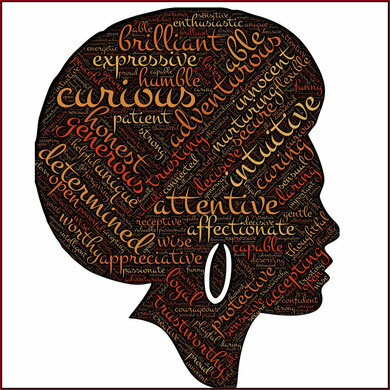 Although this website is a safe space for people of all colors and races, this post is from the perspective of a black African woman. The superwoman syndrome affects all types of women, so irrespective of your race or skin color we can all glean some wisdom here. It doesn't affect African American women only. My African sisters know too well the roles, responsibilities, and resilience our mothers have. Barring Black Panther - which I,m yet to watch, our role models are mothers, grannies, big sisters and a plethora of familiar and strange women we respectfully call Auntie. As young girls, we eavesdropped their conversations, observed their lives and how they related to others. We watched how they dressed and imitated their hairdos. As we grew up we consciously or subconsciously took on their beliefs, behaviours, and work-ethic. 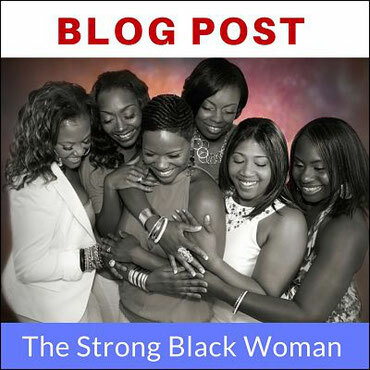 We developed an inner strength that's in practically every black woman I know. Yes, the black woman IS beautiful and strong. We can also bear a lot. In silence. We have no time for pity parties because we're too busy taking care of everything else. Partner, siblings, kids, clients, business, work, relatives and ministry just to name a few. We are often the first person to get up and the last to go to bed. Self-care is rarely priority on the long to-do list. Unless we make it one. In the coaching industry, we say self-awareness is the starting point of personal development and success. Shining the light on areas that are not ideal is not about a victim mentality. It's about acknowledging a problem, then getting information that empowers us, so that we make wise choices and grow. Ideally, when we know better, we do better. This video brings self-awareness on so many levels. So if you're a black strong woman, or you love one, take a moment and enjoy. As children and grown-ups, we learn by example. We're social creatures who imitate each other, both consciously and subconsciously. Fact is the woman I am today has her roots in the woman I saw in my belated mom. She was one compassionate, hard-working and resilient woman of faith. I miss her laughter, wisdom and weekly prayers terribly. But I'm grateful to have had the best mom ever. Her life taught me to trust in God's unconditional love. She exemplified faith, grit and caring for others. Her death taught me to re-evaluate priorities, healthy boundaries and self-care for balanced success. Self-care is not overrated. 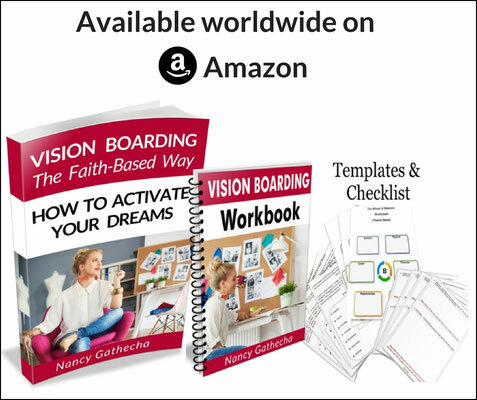 In my best-selling book on Vision Boarding, I talk about the importance of including this important but often ignored core area. Taking care of your spirit, soul and body make you better equipped to show up for those you love and serve. There's nothing selfish about doing what's good for your well-being, as long as it's not at the expense of others. Yet when it comes to relationships, sometimes you have to release or limit contact to people that drain you or expect more than they're willing to give. Protect your energy fiercely, bad eating habits and lack of sleep can leave you feeling depleted. Pray for, treasure and nurture mutually benefiting relationships. They need watering, just like flowers. Cut emotional vampires loose. Toxic, negative folks who continue to subtract and divide from your life, but never add or multiply in any way. Sounds mean but if you continually give, you also need to receive. You can't pour out of an empty cup. Creating boundaries around love is part of self-care. 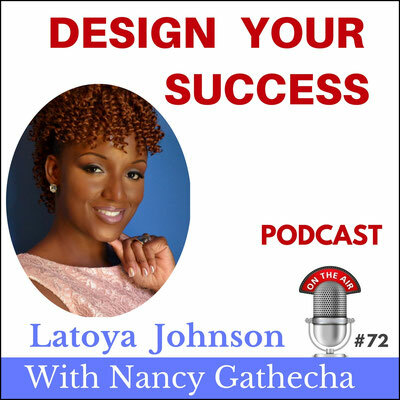 As best-selling author Latoya Johnson said in podcast interview #72, we have to love ourselves before loving our neighbors. Strive for balance concerning ambition and expectations. Examine your motives. Get real about the source of your vision and why you want to achieve a particular goal. Is it to prove something to others? Is it to people-please or cover up insecurities? Or are you pursuing a goal because "society" expects you to be a certain way? Based on your purpose and vision, you get to decide what success means to you. Society shouldn't define our success, neither should the perfectly filtered lives on social media. We don't have to give in to the pressure to appear strong all the time. Whitney Houston's song - I'm every woman was a nice hit, but seriously, do you want to be "Every Woman"? Being a nurturer, visionary and go-getter, I thrive on getting things done. I love working with clients; helping them find solutions and get the results they desire. Because I enjoy what I do, some days or weeks I can lose track of time and keep going like a Duracell bunny! The danger of loving what you do is over-working. It may not feel like hard work, but following your passion IS work and balance is needed. Ours being a performance-based society, just like back then, today we would still think Mary was acting selfishly. But Jesus said she chose what is better. That doesn't imply Fix-it-Martha was doing something bad, but sometimes we have to choose between what is good and what is better. Mary chose the Word, which has the power to nourish the spirit, soul, and body. To enjoy a fulfilling life, we have to nurture our physical, spiritual and emotional areas. Sitting in the Lord's presence is not a waste of time. He will help us get our priorities right, then give us the grace to be productive. He knows how to get us to the resources, people and places we need to fulfill the vision He gives us. If we ask He will show us how to follow our dreams AND enjoy the fruits of our productivity without burning out. More on balance in podcast episode #79. Pride pretends to have it all together, but humility admits a need and asks for support. It's OK not to be strong all the time. It's OK to be vulnerable, and ask for help, because that, my dear sisters IS also strength. Give yourself permission to practice radical self-care, pencil it in your planner. Make it part of your routine. Because our health and length of life may very well depend on the choices we make. 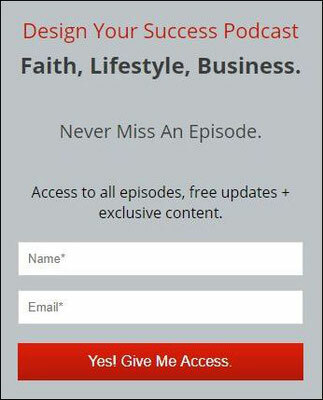 Subscribe by email - Join the community to get exclusive content + free updates. Share your self-care tips and thoughts below.